" Make the Change "
"Dr. Reilly is an excellent surgeon. He did excellent work." "Dr. Reilly is truly one of the best Surgeons in the US. Talented and experienced." "Dr. Reilly keep doing what you're doing. You are the best." "Very thorough and takes the time to explain and communicate with you your care." "This practice has the highest level of integrity." "Least invasive procedure for weight loss with option to reverse." "I wouldn’t trade him or his staff for anything." 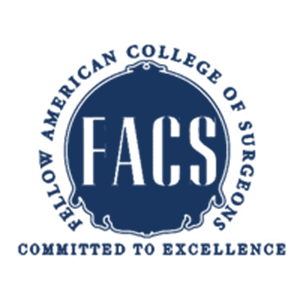 Christopher Reilly, MD, FACS, is a respected fellow of the American College of Surgeons and the director of bariatric medicine at West Houston Medical Center in Houston. A qualified and experienced surgeon, Dr. Reilly started in private practice in the West Houston area in 1997. He’s highly experienced in laparoscopic procedures such as colon and hernia surgeries as well as diseases of the breast, thyroid and biliary tract. 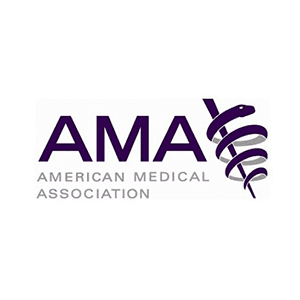 He currently practices at his clinic West Houston Surgical Associates. Dr. Reilly specializes in bariatric surgery, having advanced skills in gastric bypass and gastric sleeve procedures, and is a expert in the use of the Lap-Band® and the Orbera® Intragastric Balloon. 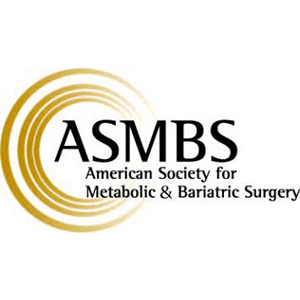 In addition to being a member of the American Medical Association, American Society of General Surgeons, American Society for Metabolic and Bariatric Surgery, and Harris County Medical Society, Dr. Reilly is a founding member and former president of the Houston Bariatric Society. Thanks in no small part to Dr. Reilly’s contribution to the development of the bariatric surgery program, West Houston Medical Center is a center of excellence facility. Patients can expect excellent care from a team of skilled and experienced professionals, who are dedicated to helping people achieve sustainable weight loss and enjoy a better quality of life. We are General Surgeons, Dr. Steven M. Thomas and Dr. Christopher L. Reilly and our practice is called West Houston Surgical Associates, P.A. We provide exemplary care for our patients and we care about you. West Houston Surgical Associates has been caring for patients in the West Houston, Sugar Land and Katy area since 1991. Our team of highly skilled surgeons offers the state-of-the-art in surgical therapy for diseases of the breast, gastrointestinal tract, skin and soft tissues and endocrine organs. We are recipients of the Health Grades 2006 Specialty Excellence Award and are ranked with 5 stars and in the top 10% nationally for general surgical services. Our surgeons offer the latest techniques from in-office breast biopsy to advanced minimally invasive laparoscopic hernia repair and colon surgery. Our breast services allow for in-office ultrasound scan and biopsy using cutting-edge, vacuum-assisted Mammotome technology, often avoiding the need for an open surgical biopsy. Doctors Thomas and Reilly are dedicated to caring for the whole person by offering comprehensive, compassionate, surgical care. Our office is at the West Houston Doctors' Center. Please click on “contact us” for office information, map and directions. "Thank you Dr. Reilly for everything and for having a great staff. Thank you Gwen for all your hard work." "Kudos to Dr. Reilly and his staff for giving me longevity or expanding my life as now I'm off all meds." "Great communication skills! He takes his time explaining every option & gives case by case advice. Takes multiple blood works, if needed, to find real answers." "Best doctor I've ever had." "Several years ago they performed an emergency gallbladder removal the experience was very good." "Excellent surgeons with even better bedside manner!" "Great Doctor and Staff, I'm very happy with the results that I'm having with the procedures that I've have done. Staff is very detailed and concerned about you."